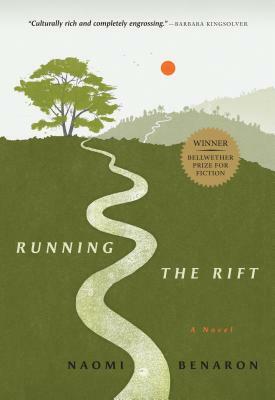 Running the Rift follows the progress of Jean Patrick Nkuba from the day he knows that running will be his life to the moment he must run to save his life. A naturally gifted athlete, he sprints over the thousand hills of Rwanda and dreams of becoming his country’s first Olympic medal winner in track. But Jean Patrick is a Tutsi in a world that has become increasingly restrictive and violent for his people. As tensions mount between the Hutu and Tutsi, he holds fast to his dream that running might deliver him, and his people, from the brutality around them. Winner of the Bellwether Prize for Socially Engaged Fiction, Naomi Benaron has written a stunning and gorgeous novel that—through the eyes of one unforgettable boy— explores a country’s unraveling, its tentative new beginning, and the love that binds its people together. Naomi Benaron holds an MFA from Antioch University and an MS from Scripps Institution of Oceanography. She is also an Ironman triathlete. She teaches for UCLA Extension Writers’ Program, mentors for the Afghan Women’s Writing Project, and has worked extensively with genocide survivor groups in Rwanda. For more information, visit www.naomibenaron.com. Naomi Benaron is available for select speaking engagements. contact speakersbureau@workman.com.